Having been born under the sign of Sagittarius, I always attributed my zest for travel as an innate characteristic of my personality. However, perusing old photographs going back as far as the 1930's, I can see that travel has played a role in my family's heritage long before I was ever conceived. I had known my grandparents to enjoy taking cruises in their retirement, but I didn't know the extent to which they traveled when they were younger. I came across two photographs of interest. 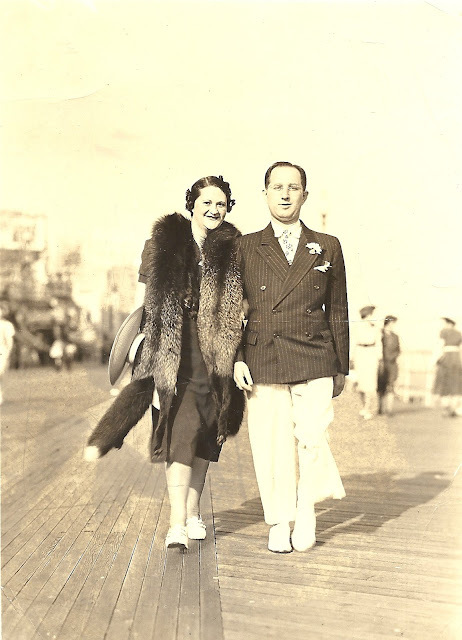 One depicts my mother's parents walking along the boardwalk in Atlantic City in front of the Traymore Hotel on what appears to be an early spring, or autumn day. The other photograph, is of my grandfather taken in 1957. My mother tells me he traveled frequently on American Airlines, and had reached the milestone of having flown a million miles. 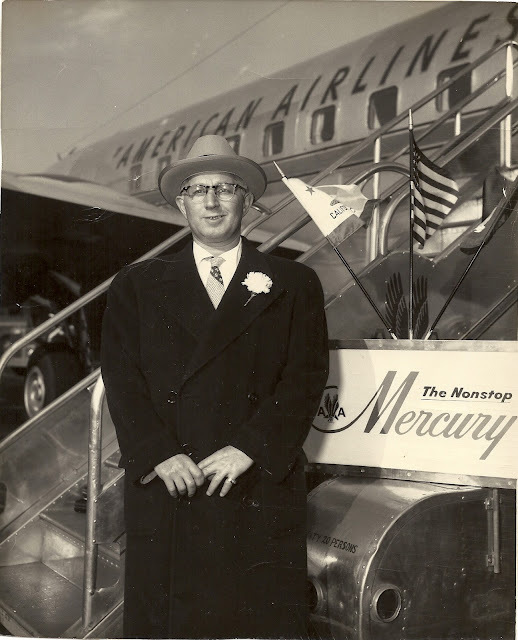 Having reached this goal, when the airline introduced the first transcontinental service between Boston and Los Angeles, my grandfather was invited to fly on the inaugural flight. The desire to travel was passed on to the next generation with my mother, her twin sister, and their best friend who later became my aunt by marrying the twins' brother. In 1954 the three of them sailed to Europe for the summer, and visited the major sights. Later in 1957 my mother returned to Paris, this time by air. I remember her telling the story of flying from Boston to London on a Constellation Aircraft which required refueling in Halifax. Later my mother, and father traveled together for the first time on a cruise which was their honeymoon. 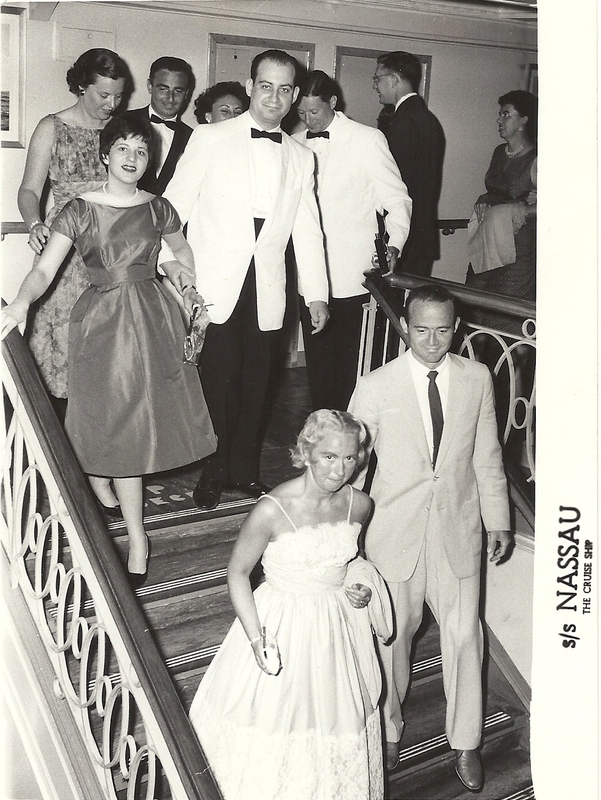 The photograph below shows them traveling aboard the ship to Nassau. Sandra Grocer Burkin, and Aaron H. Burkin M.D.